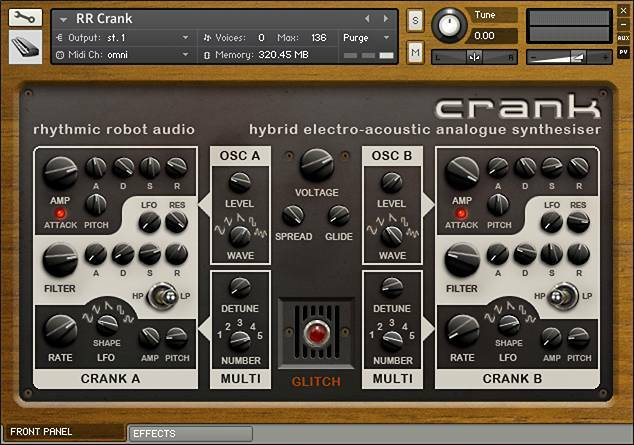 Crank is available as a special bundle with its sister instrument, Hurdy Gurdy. See our Hot Deals page to grab this offer. Unique blend of characterful acoustic and analogue electronic waveforms • Constant erratic instability to add colour and organic warmth to the sound • Multi-Osc adds up to ten detunable oscillators! Ratcheted my way through bloody knuckles and all only to find the keys to the kingdom a shot of crank away from redemption. Do not underestimate the usefulness of this synth. It has a wonderful vintage-y Mellotron-ish sound that works in far more situations than I thought. RR surprises me again! I have been intrigued by the sound (and instrument design) behind this one from the start. My love for the glitch/rnd button is well documented, haha, so that was one of the appeals here. I am enticed and enthralled by the RR instruments that have it. Even if some of the sounds (as is definitely the case here) end up being quite quirky, they provide a deep delve into the instrument in a way impossible without hours of tweaking. As for the sound of Crank itself, it is truly magical. I am drawn to sounds that are indefinable, impossible to place in space or time, difficult to pin down as either synthetic or organic. But I have to say, the thing that finally tipped the scales for me and made me go for it was the wonderful Astrofield track in the demos, and the realization that with instruments like these, one could make a real run at creating Bladerunner-esque soundscapes that came from some other world entirely. With tools like Crank, anything is possible. I’m pretty sure if Jules Verne used Kontakt, he would use Crank! This is quite unique in sound and approach. I have just started using it but am already full of warm and fuzzies. It covers a lot more ground than I was expecting and I think it will be very useful in many varied productions. Also, big hats off to The Professor and Mongo for their excellent customer service and highly creative products! Great little synth. But a really organic one. If you are looking for a human-machine synth hybrid, this is the one. Rough sketch at https://soundcloud.com/user-859240368/robotic-synth-hoedown-in-an-abandoned-factory – apart from the drums, everything is Crank (including the industrial tambourine that fades in after about 8 seconds). So I bought this along with Hurdy Gurdy, Loopscape, Spark Gap and Uproar and so far I’ve used this more than all the other four combined (I’ll get round to them at some point, honest). The source Crank waveforms are lovely biting clanging drones, and combined with the sound oscillators and the simple but very flexible and powerful synth architecture, there’s a huge variety of sounds that you can produce – booming guitar leads, mellow pulsating pads, organs, weird synth banjos, you name ’em. Also, I asked the Professor a question about how to sync instrument parameters to my DAW host and he kindly replied to my cluelessness with a very detailed answer within 24 hours, so I can highly recommend RR’s customer service as well as their synths. If you enjoy these, please follow me and like these tracks on Soundcloud. 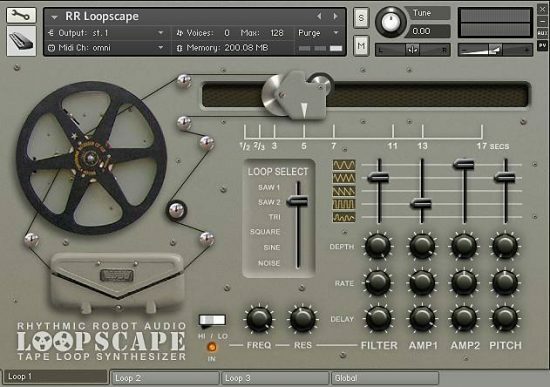 Great, quirky synth, which I’ve used extensively in downtempo and ambient situations. Here is Crank providing a varying drone, accompanied by various percussive hits: https://soundcloud.com/jamesstringer-2/laika. I have lots of other tracks using Crank – I shall post the Soundcloud links as I upload them. Really useful and highly distinctive instrument. 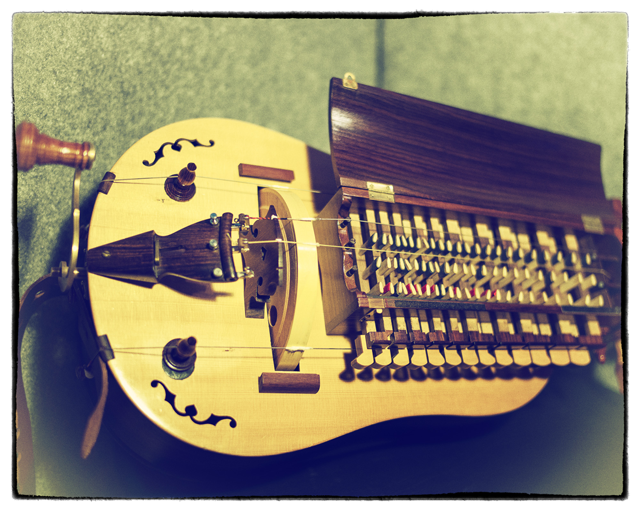 Excellent Electrice Hurdy Gurdy. 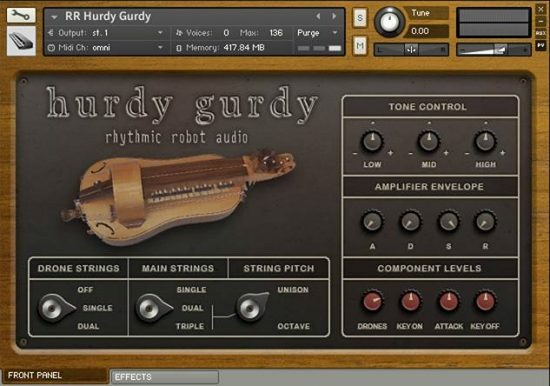 Just what I needed to go with my other Hurdy Gurdy I bought from you guys to create a THICK Hurdy Gurdy instrument. Thanks for helping me to stay creative. This is a fantastic oddity! It has its own quirky charm, and oozes character. Although it’s excellent for pads and drones, it can also do leads, keys, organs, strings, basses and fx with aplomb. The Glitch button is ace fun (and often feels like cheating – just press it and hey presto – a new patch). I own most of the Laboratory instruments, and Crank, like all the others, has been created with obvious love and attention to detail. If I need some inspiration, or an unusual or characterful sound, I invariably turn to my Rhythmic Robot folder, and Crank is one of my favourites. Wonderful analog-style anarchy! This demented concept of a synth is very hard to compare to anything else and that’s a very good thing in this age of soundalike subtractive clones and superglossy digital constructions. It’s great for drones (big surprise), evolving pads, biting organs, twisted leads and any track that needs some warped character. The always welcome “glitch” randomizer button will give you hours of fun and new possibilities. I was intrigued by this synth and bought it thinking it would be kind of nice in limited situations. I underestimated it greatly. 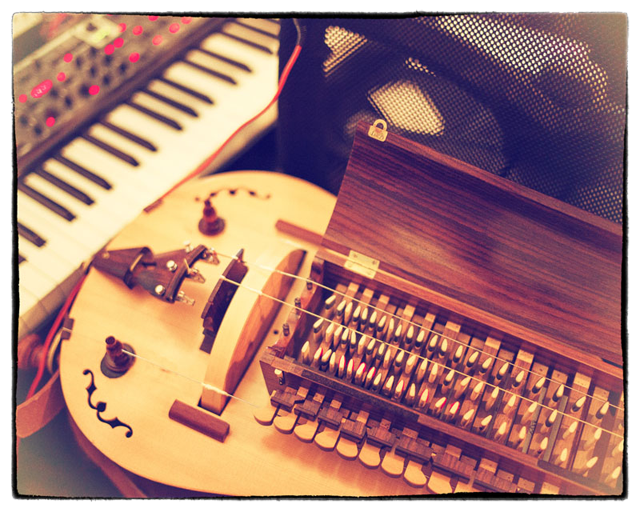 The combination of oscillators and the decidedly low-tech hurdy-gurdy factor make for a rough Mellotron-like sound– but with more natural grit. I’ve found it especially good for creating pads that add character and even some subtle movement in arrangements whereas your standard pad sounds might need more treatment. The rosin-produced grittiness has the knock-on effect of helping it cut through the mix without being too obtrusive. 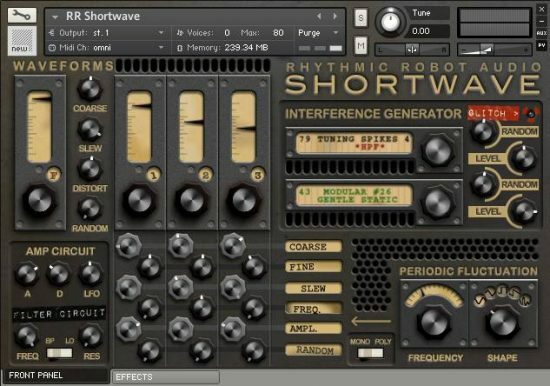 Overall, a brilliantly useful synth!